Is Meal Prepping Negating Your Weight Loss Efforts? A quick google search for those interested in losing weight will quickly reveal the latest buzz-worthy trend—meal prepping. 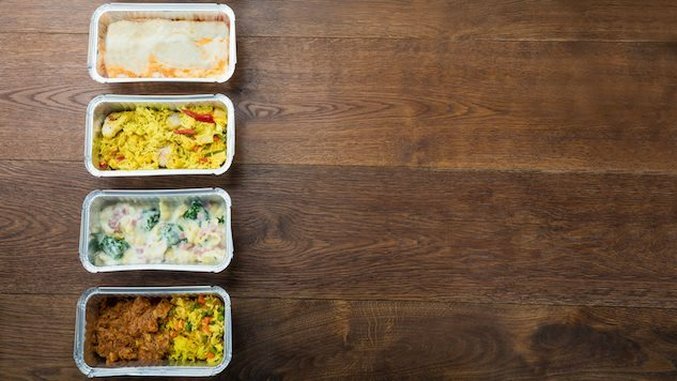 From OCD-approved rows of macronutrient-friendly meals to personal competitions to complete a week’s worth of preparation before a timer runs out, it’s no surprise there are more than 5 million posts tagged #mealprep on Instagram. The hype is justified, as studies have shown that people who meal prep are likely to have healthier diets and follow nutritional guidelines more closely. Other positive effects include better portion control,, spending less money on weekly groceries and eating out less. In theory, there isn’t anything wrong with meal prepping. However, if not practiced carefulyl, this method could sabotage your weight loss efforts—for a reason that has very little to do with the actual food you prep. These efforts can go to waste if you are prepping in containers containing the harmful, hormone-disrupting chemical bisphenol A, or BPA. This chemical can be found in many places, such as polycarbonate plastic, canned food linings and even on smartphones. Generally, we’re regularly ingesting BPA and it passes through the body fairly quickly once exposed. The issues arise when people are exposed to high levels of BPA—such as when every meal of every day is prepped in plastic containers containing the chemical. Not only has research shown that BPA is an active agent in prompting cells to become fat cells, it has also shown that exposure to the chemical can make it harder to feel full. But there is hope for those dedicated to the life of meal prepping with just a few alterations. Using glass, stainless steel or ceramic containers when possible and using care with plastic containers when necessary—such as avoiding harsh chemical cleaners and never reheating food in plastic—will help decrease BPA exposure. Further, switching to fresh or frozen produce and avoiding canned, if you can, will help bring these levels down.